Nighthaunt has a slew of exciting heroes like Knight of Shrouds on Etheral Steed and Lady Olynder. Lower on the spooky ladder is the seemingly underpowered Lord Executioner; but there are some strong uses for the headsman – here are 5! 1) Survivability. 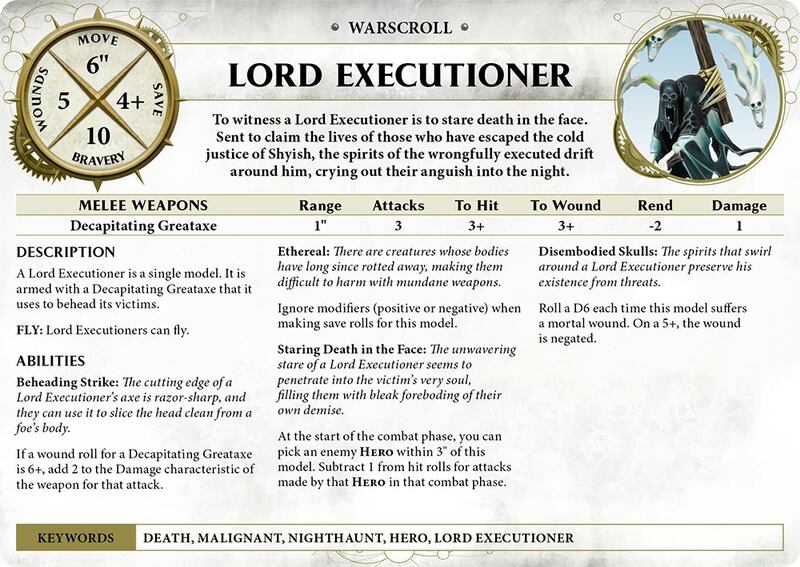 The Lord Executioner has a built-in 5+ save against Mortal Wounds, and at the beginning of the Combat Phase, you can target a Hero to be -1 to hit against his Lordship! Nighthaunt models are already harder to take off the board than most, but with the Lord’s abilities he can stick around even longer to hold objectives for missions like Three Places of Power of Duality of Death. 2) The Battalion Execution Horde includes a Lord Executioner and 3 units of Spirit Hosts. This gives the Lord +1 to Hit and everything that swings at it has -1 to Hit! The Battalion is only 100 points and gives you and extra Artefact AND Command Point to start the game! Crazy good value! 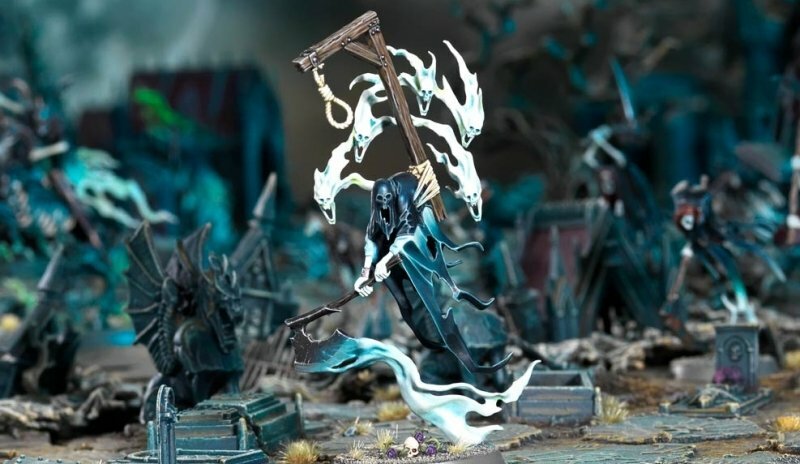 The Lord Executioner is a fantastic unit to apply several Artefacts from the Nighthaunt Battletome! 3) The Shrieking Blade gives opponents -1 to Hit against its wielder! If you’re keeping score at home: along with its own ability and the Execution Horde, the Lord Executioner can get to -3 to Hit against a Hero! With his 6+ Death save and 5+ Mortal Wound save, he becomes a killer way to shut down your foe’s biggest Hero threat. 4) The Midnight Tome on such a survivable Hero is a solid plan. The Lord Executioner becomes a Wizard, and Pick Soul Cage as your Spell Lore choice for him, and keep your opponent frazzled! 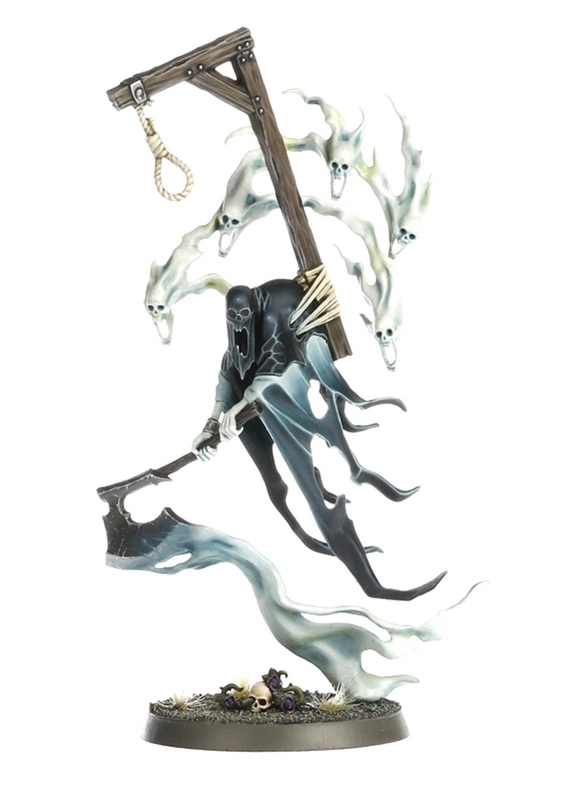 5) Cheap and efficient, the Lord Executioner provides you with an extra Hero at a good price that can be around units of things like Grimghast Reapers and Spirit Hosts to make sure you can use Command Abilites to do things like reroll charges! All the while, the Lord Executioner will stick around longer than other cheap Hero choices like Cairn Wraiths and Tomb Banshees. ~Who’s using the dude and what are your tips & tricks?